Although research on contemporary pilgrimage has expanded considerably since the early 1990s, the conversation has largely been dominated by Anglophone researchers in anthropology, ethnology, sociology, and religious studies from the United Kingdom, the United States, France and Northern Europe. This volume challenges the hegemony of Anglophone scholarship by considering what can be learned from different national, linguistic, religious and disciplinary traditions, with the aim of fostering a global exchange of ideas. The chapters outline contributions made to the study of pilgrimage from a variety of international and methodological contexts and discuss what the ‘metropolis’ can learn from these diverse perspectives. While the Anglophone study of pilgrimage has largely been centred on and located within anthropological contexts, in many other linguistic and academic traditions, areas such as folk studies, ethnology and economics have been highly influential. Contributors show that in many traditions the study of ‘folk’ beliefs and practices (often marginalized within the Anglophone world) has been regarded as an important and central area which contributes widely to the understanding of religion in general, and pilgrimage, specifically. As several chapters in this book indicate, ‘folk’ based studies have played an important role in developing different methodological orientations in Poland, Germany, Japan, Hungary, Italy, Ireland and England. 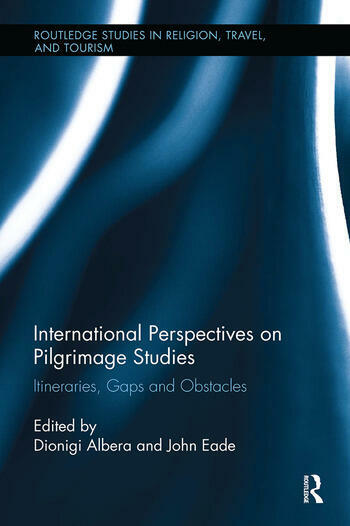 With a highly international focus, this interdisciplinary volume aims to introduce new approaches to the study of pilgrimage and to transcend the boundary between center and periphery in this emerging discipline. Dionigi Albera is a Director of Research in the CNRS and leads the Institute of Mediterranean, European and Comparative Ethnology at the University of Aix-Marseille. John Eade is Professor of Sociology and Anthropology at the University of Roehampton, Research Fellow at the Department for the Study of Religion, University of Toronto and co-founder of the Routledge Religion, Travel and Tourism series.